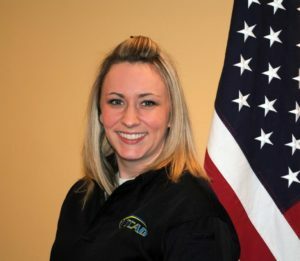 Jessica Berscheid has been an Emergency Medical Dispatcher with Taney County Ambulance District (TCAD) Paramedics for five years. Jessica is an integral part of TCAD’s communications team and oversees a training program for new employees. Jessica is an EMD-Q and plays an important role in TCAD’s quality improvement process. Jessica is always looking for ways to improve communications and our delivery of service. Jessica is currently working towards her Master’s in Psychology with an emphasis in Play Therapy. This degree focuses on interaction with children and assisting them in coping with their own illness or a family member’s. Jessica’s graduate studies are an example of her kind and compassionate spirit for helping children. Jessica’s love for helping people is what makes her such a successful and reliable team member. Jessica is an amazing coworker and friend; who can cheer anyone up on their worst day. TCAD Paramedics is proud to nominate Jessica Berscheid for this year’s Star of Life Award.